We all know that eating out is not the healthiest of options. Over the past decade, many restaurants have begun challenging that stigma by creating healthier dishes. Prior to that, the only way to get a healthy meal when dining out was to bring it along or to seek out a specialized restaurant. Despite the great changes to the restaurant scene, some folks still face challenges with eating out and their health. Today we look at a few conditions that create a barrier and how to change their narrative. Dysphagia is a swallowing disorder that can cause asphyxia and creates self-esteem issues with their sufferers. Their concern first and foremost is choking. Everyone would shy away from situations where they might choke in front of a large group of people. It is also true that not a lot of people know about the disorder and sufferers don’t want to talk about it or explain it while in public. Menus can be overwhelming. People with dysphagia worry about food consistency and choking hazards. If they have other health concerns in conjunction with their dysphagia, they may worry about being limited to only one menu item or learning that they have no options. However, dining out can happen! Here are a few suggestions on how to make it work for you. Thickening agents – bring your own thickening agent, such as SimplyThick, to alter soups and beverages a bit to make them easier to consume. Check out the menu ahead of time – almost every restaurant has a website with a menu. Take a look at what they offer and come up with a game plan long before you go. Talk to the staff – ask the waitstaff, or call ahead of time, if they can alter dishes to make it easier for you to consume. You’d be surprised at how accommodating a restaurant will be. Start with a small group – before hitting a restaurant with your church group or college buddies, grab a couple of close family members and friends who know about your condition and try out some local places. It will help you get past your concerns and determine which places are the right ones for you. Food allergies are everywhere and they create chaos in our everyday worlds. 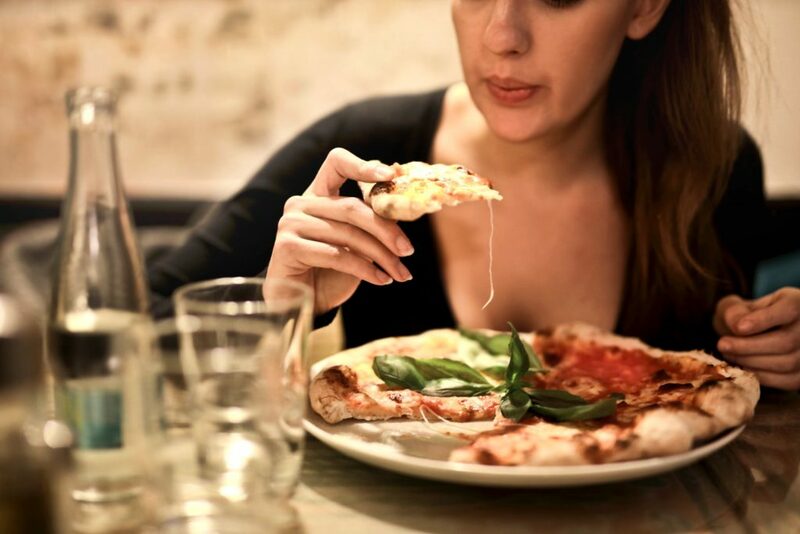 Whether it’s a gluten sensitivity, peanut allergy, or a severe shellfish allergy, it can create a real issue with being able to have a dinner out once in a while. What is equally concerning about it is that sometimes those allergies are triggered by something you wouldn’t know is in contact with an allergen. Many sweet potato fries are made with flour, peanut oil may be used to fry up some chicken, and a restaurant may not prepare shellfish in its own section of the kitchen with its own tools and dishes. Those things aren’t necessarily on a menu or a website. This means that if you want to go out, you are going to have to do your homework before going. Check out the menu online – first note if they make anything with a potential for gluten, offers seafood, or anything else that could hint that you might be allergic to it. Make a list of what looks safe. Call the restaurant – talk with a manager (not waitstaff) about the processes for your list of safe food. What oil are the fries made in? Is there seafood made in a separate area? Could your dish come in contact with anything that you are allergic to despite ordering it? Refer them to FARE(Food Allergy Research & Education) if they seem unwilling to be of assistance or if they seem interested in how they can accommodate those with allergies. Eating out with health concerns always requires a bit of legwork to ensure your safety. If you want the restaurant dish but don’t want to go out, you can always look for recipes online. Potato skins with less fat, a gluten-free molten lava cake, or your own healthy sweet potato fries will encourage you to enjoy your food once again.